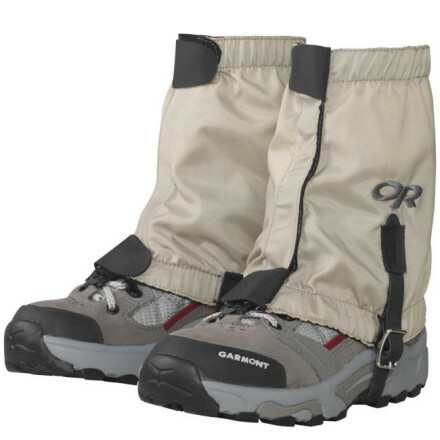 Visit Outdoor Research's Flex-Tex II Gaiters page. 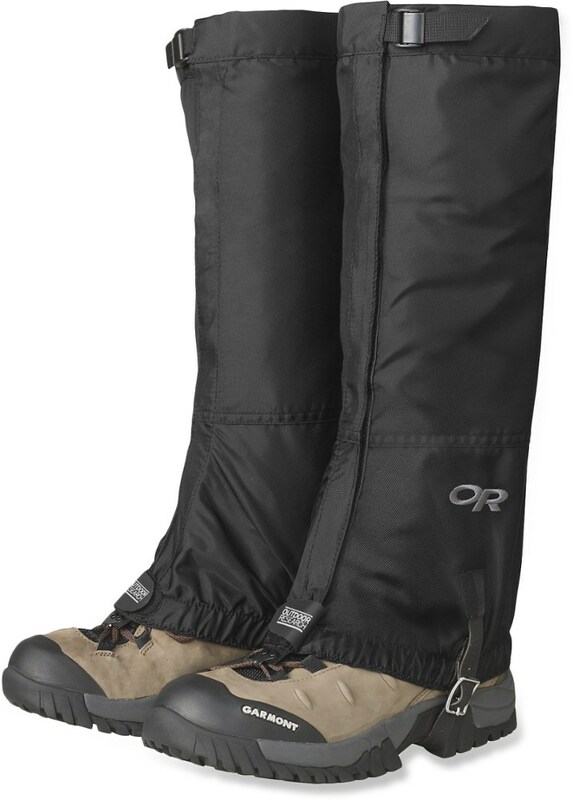 Made from an abrasion-resistant nylon spandex blend, the Outdoor Research Flex-Tex II Gaiters provide lightweight protection from trail debris and wet conditions in alpine environments. 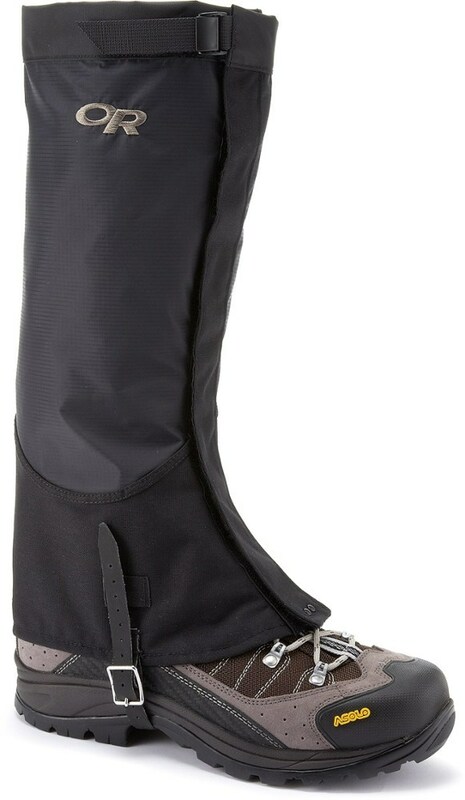 The single draw tightens down in an "x" shape to provide a customizable fit for many types of footwear. 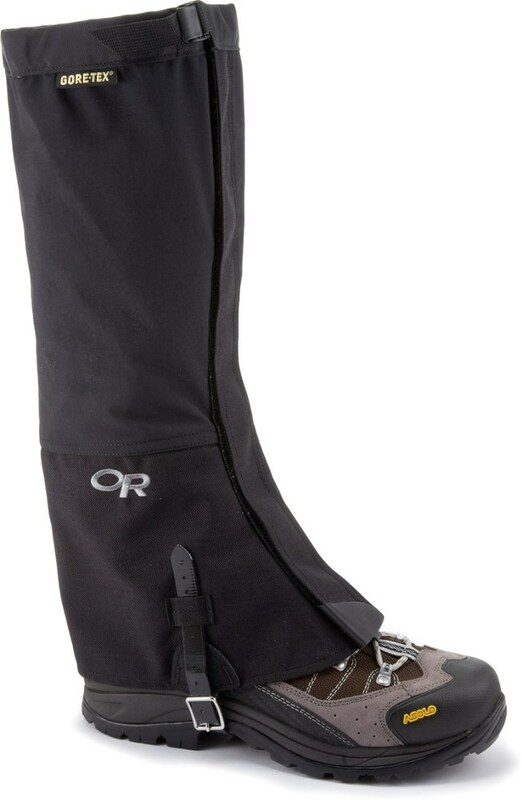 Outdoor Research Footwear Flex-Tex II Gaiters - Black - L/XL 2431010001016. 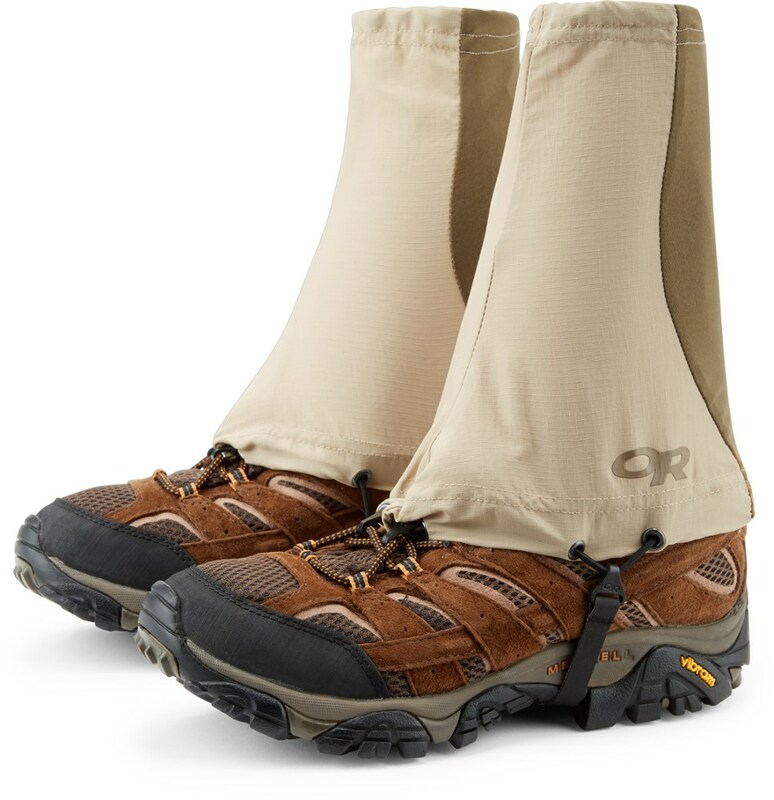 The versatile shape and snug fit work with all types of footwear including running shoes hiking boots and cross country ski boots to keep moisture dirt rock and light snow from getting into your shoes. 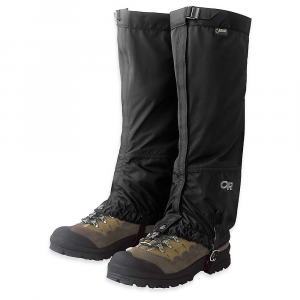 Stretchy and breathable, the Outdoor Research Flex-Tex Gaiters are perfect for summer and winter trails. 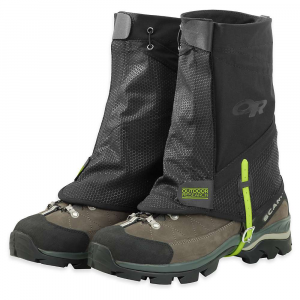 The versatile shape and snug fit work with all types of footwear including running shoes, hiking boots, and cross country ski boots to keep moisture, dirt, rock, and light snow from getting into your shoes.